CHRISTMAS ARTS AND CRAFTS! MAKE YOUR OWN ROBIN! 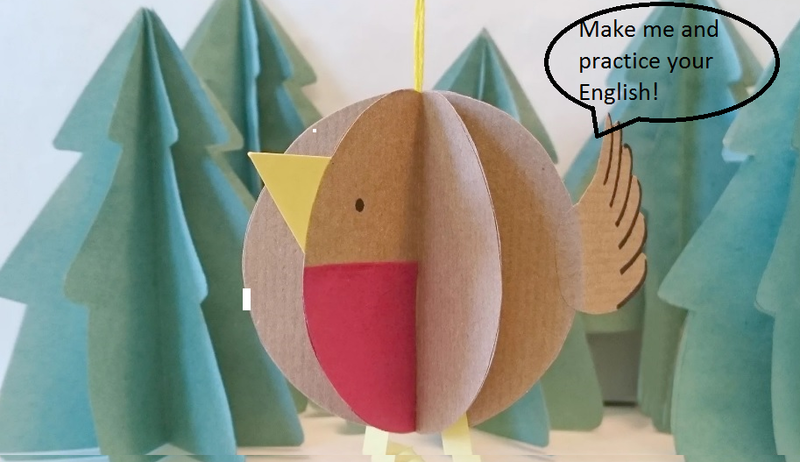 PRACTICE YOUR ENGLISH AND DECORATE FOR THE HOLIDAYS! MAKE THIS ECO-FRIENDLY ROBIN BAUBLE FROM USED MATERIALS. JUST FOLLOW THE INSTRUCTIONS AND PRACTICE YOUR ENGLISH! PLEASE POST PICS OF YOUR CREATIONS HERE!! This entry was posted in Uncategorized on December 12, 2016 by Luisa.